Professional teeth whitening helps to erase the damage of aging, smoking, drinking coffee and cola, and other factors that influence the appearance of the teeth. Because it is a cosmetic dentistry procedure, most insurance carriers don’t offer any coverage for it. That leaves many patients of Dr. Qureshi at Healthy Smiles of La Grange wondering, “How much is teeth whitening?” It depends on the number of sessions you need and the type of whitening material used in your treatment. Teeth whitening solutions that you can buy at a local drugstore, such as whitening pens, strips, gels, and mouthwash, can range from $20 to $150. However, you sacrifice quality for the low cost. That is because drugstore teeth whitening kits contain only small amounts of carbamide and hydrogen peroxide, the chemicals that brighten the enamel of your teeth. You may see no results at all or you may need to repeat the process multiple times to see a difference in the shade of your teeth. The next step up in teeth whitening quality is to request a take-home kit from Healthy Smiles of La Grange. These kits typically cost between $100 and $500. They include trays that Dr. Qureshi customizes for your mouth along with a stronger bleaching agent than you can purchase on your own. In-office professional teeth whitening averages between $300 and $1,000, with the typical cost falling somewhere in the middle of that range. As a professional dentist, Dr. Qureshi uses up to 40 percent fast-acting hydrogen peroxide in the solution that he places on your teeth. To start the procedure, he takes impressions of your top and bottom teeth and sends them to our laboratory to create customized trays. When a lab technician finishes your trays, you need to come back for a second appointment. At this session, you sit with the two rows of trays in your mouth for up to an hour. Dr. Qureshi then uses a dental laser to complete the whitening process. 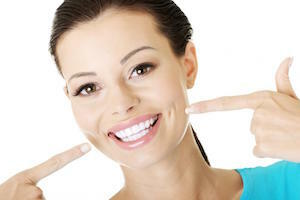 We are happy to provide you with a personal teeth whitening estimate based on your individual needs. Our office accepts all major credit cards in addition to Care Credit. The latter is a third-party financing company dedicated to making out-of-pocket health and dental expenses more affordable.